If you have been diagnosed with a hand condition that requires surgery, you should take some time to research your surgical options before moving forward with treatment. There are many different types of hand surgery available, depending largely on the type and severity of the condition that is causing your pain and lack of mobility. Fractures — Sometimes hand surgery is recommended for a severe fracture that requires the bones to be stabilized and set in the correct position. Though the severity of the fracture will determine what materials are used to set the bones, stabilizing options can include wires, screws, and plates. Carpal tunnel syndrome — Carpal tunnel is a condition that affects many adults, especially adults who work in an office and type on a keyboard daily. While this condition can often be treated conservatively, some severe cases of carpal tunnel may require surgery to relieve pressure on the median nerve. Trigger finger — Described as a condition that affects the tendons in your fingers or thumbs, trigger finger can sometimes be treated through hand surgery used to free tendons from compression. 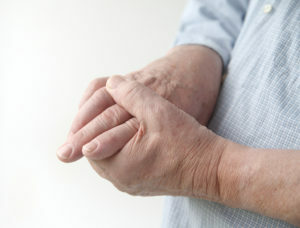 For patients in the Reno area, we offer a number of options for hand surgery to help treat these conditions and others. You can meet with one of our board-certified orthopedic surgeons to discuss your surgical options and what to expect before and after surgery. To learn more about the types of hand surgery and other orthopedic hand treatments we offer at Tahoe Fracture & Orthopedic Medical Clinic in Reno, NV, contact us today. We can have our specialists walk through the treatment options available to you so you can start your journey to find pain relief.